The five short novellas which comprise this anthology were written between 1890 and World War I. All share a common setting—the Eastern European Jewish town or shtetl, and all deal in different ways with a single topic—the Jewish confrontation with modernity. The authors of these novellas are among the greatest masters of Yiddish prose. In their work, today's reader will discover a literary tradition of considerable scope, energy, and variety and will come face to face with an exceptionally memorable cast of characters and with a human community now irrevocably lost. In her general introduction, Professor Wisse traces the development of modern Yiddish literature in the late 19th and early 20th centuries and describes the many shifts that took place between the Yiddish writers and the world about which they wrote. She also furnishes a brief introduction for each novella, giving the historical and biographical background and offering a critical interpretation of the work. Ruth R. Wisse obtained her Ph.D. from McGill University, Montreal, and is currently professor of Yiddish Studies at McGill. She has translated and edited numerous Yiddish works for publication and has published a variety of articles and books on Yiddish language and literature. 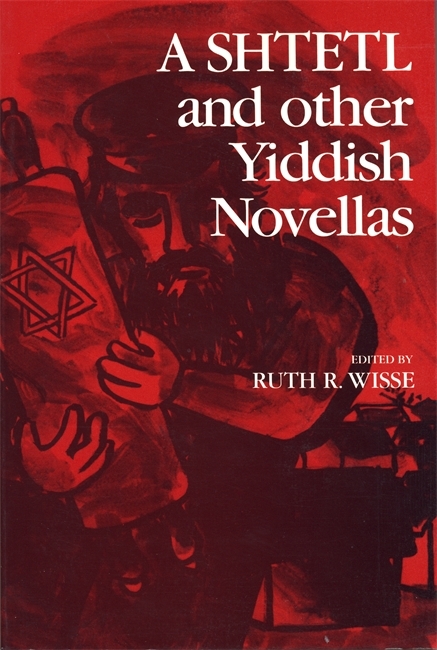 A Shtetl and other Yiddish Novellas edited by Ruth Wisse is an excellent overview of the origins of modern Yiddish literature.